The Engineering Library is now on Facebook! Follow us for updates on library hours, events, and engineering related information. 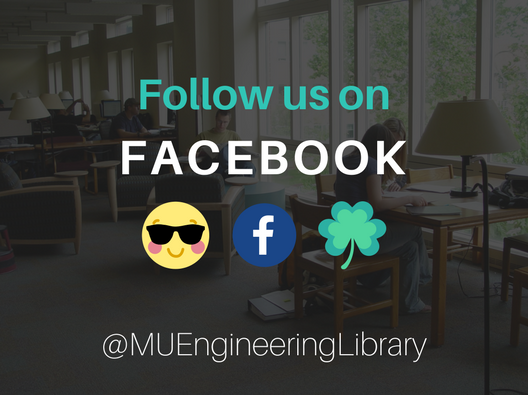 Find us here or by searching 'MU Engineering Library & Technology Commons' on Facebook.